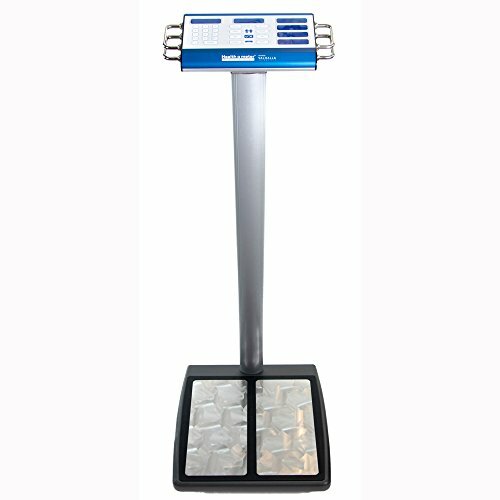 The G6 Series scale provides a 1000lb capacity and a full body composition report including body weight, body fat %, visceral fat, fat-free mass, body water %, muscle-mass, body mass index, and recommended daily caloric intake. Healthometer has partnered with Valhalla Scientific to bring to market a sophisticated yet affordable device that will help physicians address obesity (and the health problems caused by obesity) and fitness in their patient populations. If you have any questions about this product by HealthOMeter, contact us by completing and submitting the form below. If you are looking for a specif part number, please include it with your message.